Looking around the Hack Reactor classrooms, Albrey Brown could see a lack of diversity. As the Director of Diversity and Inclusion, his team decided to do something about it, and started by auditing the demographics of past alumni and current students. 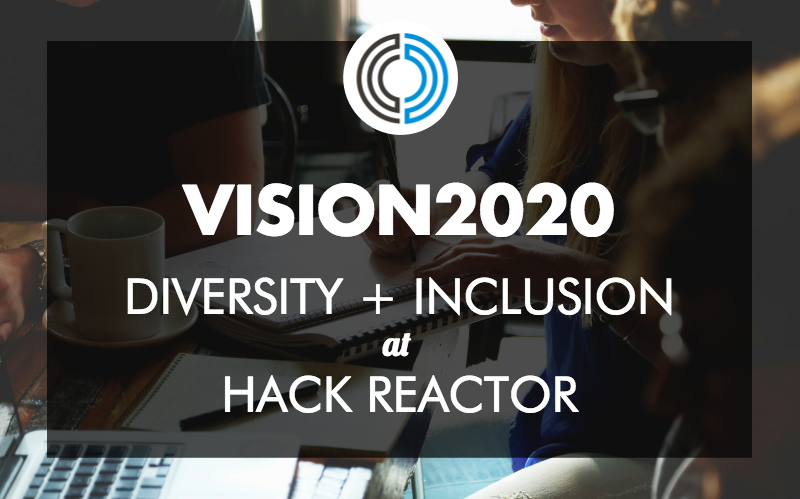 After analyzing that data, Hack Reactor announced their “Vision2020” to graduate classes made up of 50/50 gender balance and 20% underrepresented people of color by Q1 of 2020. We speak with Albrey to learn more about how Hack Reactor will attract, engage, and retain diverse, technical talent. Plus, read tips on how other bootcamps can enhance their diversity and inclusion efforts! Tell us about your role at Hack Reactor! I’ve been the Director of Diversity and Inclusion at Hack Reactor for about four months now. I founded Telegraph Academy after graduating from Hack Reactor, and my team at Telegraph Academy did a very good job of sourcing students from underrepresented backgrounds. When Hack Reactor rebranded, our entire team was absorbed back into Hack Reactor to work on diversity and inclusion efforts and grow Telegraph Track (the revamped Telegraph Academy). I've been working with the leadership team and other employees to expand those efforts to the HR staff as well. Telegraph Track’s first big project was working with Facebook on their F8 donation – Facebook just donated $250,000 to Hack Reactor's scholarship pool to be given out over the next year. That’s 14 full rides to Hack Reactor for underrepresented future engineers! The Hack Reactor scholarship program has been a really amazing source of underrepresented talent. We looked at how that's been converting to our student population and decided that our second project had to be figuring out whether we're improving or not. 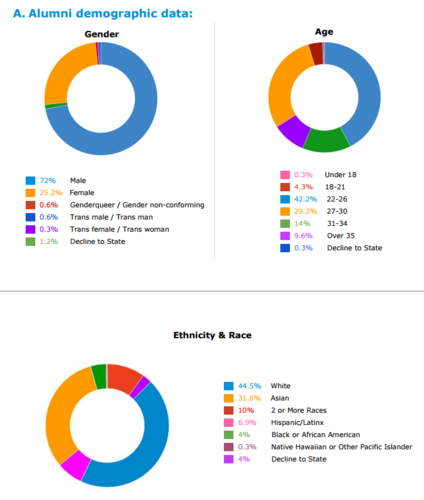 What prompted Hack Reactor to conduct the diversity and inclusion report? Our moment of obligation came a while ago. When I went to Hack Reactor in 2014, I was one of the only African-American students out of 160 people, which is unacceptable. As an organization, we’ve always been looking to improve, but we’ve invested most of our resources externally. There are seven bootcamps that we support in terms of curriculum, financial investment, and instructional support, and they are specifically geared towards underrepresented groups. We extend scholarships and curriculum help to many community partners, so externally, we've always been about promoting diversity and inclusion. Once my team was back on site, we realized that we were overlooking more internal efforts and that's what prompted the diversity report itself. It was very easy to walk on campus and see that it wasn’t a very diverse environment. The anecdotal evidence was there – we needed the data to support that, because data is key to change. Were the results what you expected? Better or worse? We didn't start the survey with a clear expectation; we know that women and people of color are definitely underrepresented. When we compare ourselves to the bootcamp industry, we only had the Course Report Outcomes & Demographics study, which says that 43% of bootcamp grads are women. And in the tech industry, African-Americans and Latinos account for 1% to 3% of engineers, so I thought anecdotally that Hack Reactor would be consistent with those stats. Our report found that 25.2% of Hack Reactor alumni are female, 4% are African-American and 6.9% are Latinx. I didn’t want to have preconceived notions about the findings based on the tech industry; we’re an education company, not just a tech company. This may be obvious to some, but why is diversity & inclusion important at a coding bootcamp? Hack Reactor is a new type of funnel to the tech industry. Tech organizations are looking to diversify, because no matter their size, being diverse is good – let's be honest – from a PR standpoint, but also good for the bottom line. For Hack Reactor, there are two reasons why this is important to us. One, the coding bootcamp industry already lends itself to diversity, because the principles that we're built on is creating nontraditional engineers. So our students have a very diverse background and perspective compared to the regular CS degree grad. We've already developed internal practices in communities that foster diversity. We also have a business opportunity here. In your report, 43% of bootcamps graduates are women, compared to 25.2% of our alumni. For us, that's an opportunity for growth and to get better. Obviously, I haven't heard anybody say that Hack Reactor is a place where women don't thrive, but we need to do a much better job of reaching out to spaces where women are looking for a tech community. Why do you think that gender disparity exists? It’s tough, because like I said earlier there are no indications that women at Hack Reactor don’t thrive. Since we started making a concerted effort toward diversity and inclusion, we’ve been getting tons of feedback from women in our community and no one has said they feel “bad” or particularly “marginalized”. However, like with everything else success comes from a strategy. For whatever reason, our customer appeal is more male leaning. This was an eye-opening realization for us and now we are reimagining how we do things from the top down. Partnering with women-focused tech organizations, creating internal communities for women, and even making changes to our marketing that make us more appealing to women. These are some ways we’ve decided to close the gap and hopefully they work for us sooner rather than later. Why will it take until 2020 to get to 50/50 gender parity and 20% underrepresented racial groups? How will you get there? The first piece is tracking this data. We're going to be gathering data from each part of the pipeline to see when people fall out of the pipeline, what type of people parse out the different type experiences that different types of people have at Hack Reactor, and then we can start forming specific strategies around how to help them. Once we've added gender and ethnicity questions to our admissions application, we can see the top of the funnel and then from there we can start tracking who gets admitted and who finishes Hack Reactor, making more informed decisions to get better at recruiting. The next step is actually working on inclusion, which means making our environment welcoming to women, people of color, and those who are underrepresented. In our in-person interview, we're adding two cultural competency questions to show applicants that this is a priority for us. We’ll ask how willing they are to learn about diversity and inclusion, and how willing they are to advocate for it. We want to make Hack Reactor a place that not only fosters diversity and inclusion, but also fosters respect for other cultures. We’re creating spaces for underrepresented students through our Telegraph Track, which provides mentorship programs and leadership development support. We’re also creating Alumni Affinity Groups. Every large company has Employee Resource Groups (ERGs), and we’re replicating those with our alumni, so that they can create communities and networks outside of Hack Reactor. Do you think that making the Hack Reactor classroom more diverse will benefit students? People have lost jobs over not being culturally competent and I think it's important to highlight that. Not only is this a moral imperative that we should be invested in, but students should also be invested in it because, at the end of the day, the world is changing. This is going to be a conversation that almost every company goes through from now on. So you should invest time in thinking about these things. After we filter out people who won't enjoy this type of thing, we also have to make it a part of our curriculum. We’re adding cultural competency education that's baked into our curriculum, which will expose the things that the majority population and the underrepresented population should be thinking about when it comes to their career as a software engineer, what it means to practice cultural competency, and also why it's important as part of your career. Hack Reactor has always been known as the “Harvard of coding bootcamps.” Do you think that this exclusivity and perception of Hack Reactor’s low acceptance rate has contributed to the lack of diversity at the school? I think you're right. There's a stigma around Hack Reactor that it can be very competitive and unattainable. In reality, only 5% to 10% of our students have a programming background before Hack Reactor. One of the things that has definitely lowered that barrier to entry has been the Hack Reactor Prep Program. In January, we put out a free Hack Reactor Prep online coding module. It's basically 350 questions that tell you about everything we’re looking for in our interview process, and 85% of people who finish it pass our interview. Telegraph Academy is reemerging as Telegraph Track – could you explain what Telegraph Track does for students and why someone from an underrepresented group needs that extra support? To be clear, every Hack Reactor student gets the same technical training. All of the additional support through Telegraph Track is around community building. We meet 1.5 hours per week. Underrepresented students don't have the networks that the majority population does. We have people coming from so many different places – we have a student who moved here from Atlanta and didn't know anybody when he arrived. Having a network of people with a similar background, who are interested in his growth is huge for him. Underrepresented folks also don't always have access to networks with industry knowledge. For example, they don't have a friend that they can ask for coffee and talk about working in tech. We intentionally pair those students with engineers to share that fountain of knowledge, and it gives them a leg up in terms of professional development. Next, we support their exposure. All of our Telegraph Track students write a technical blog post every week, so that they can build their brand. 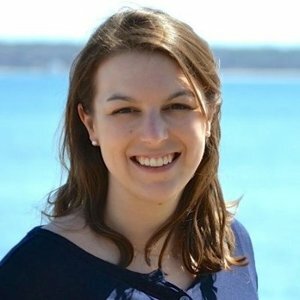 When you're trying to break into the tech industry, it's really important that you have a presence online to show that you can speak about yourself, particularly as an engineer. Finally, we set up career support. We don't want this support to end at Telegraph Track, so we have an alumni community where we teach students how to be their own HR advocate. When you start your first job, how do you find the people who are going to be your mentors at your company? How do you break down biases and recognize privilege? How do you create allies? All of these things will help these students navigate the tech industry from the perspective of being underrepresented. How are you working with employers to ensure that your graduates are being placed in diverse organizations? We want to connect our students with companies that either have diverse teams or want to build diversity and inclusion programs. Tech organizations have been hiring from the same pool for a very long time. One of the reasons it's important that we do this at this moment in the industry, is that bootcamps are being taken seriously for one of the first times ever. For the first time, we’re hearing recruiters say, "my hiring manager told me to look for a bootcamper." Getting past that first layer of stigma was really important, because if you're an underrepresented bootcamper, then you have two layers of stigma that makes it difficult to get a job. Dissolving the first layer is awesome. Our goal is to find those companies and audit them; ask how they’re fostering diverse environments and changing their practices. I was just on a panel at Lever, which is a really important company to me because they’re one of the first large companies to achieve 50/50 gender parity. I talk to hiring managers all the time, and I’m looking for employers who can change their perspectives on hiring. When you're looking for an experienced developer or a fresh CS grad, you’re looking for a certain skill set and for them to pass the “eye test.” They say that Silicon Valley is a meritocracy, but we all know that’s not true. We want to work with employers to create systems around applicants showing their work in a non-judgemental environment. That will go a long way towards diversifying and recruiting from other pipelines. Do you have any advice for employers who want to expand their diversity and inclusion efforts? First, make sure that you start with a coding challenge instead of a resume. It should be about being able to do the work. 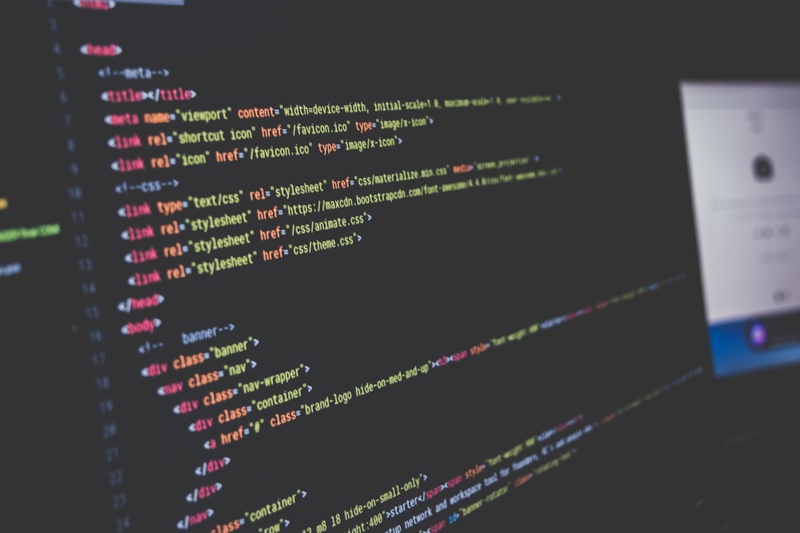 Instead of having somebody submit their resume, have them submit some code to you, look over the code and then see whether that is up to whatever standard of programming that you are looking to employ. If you want to hire bootcampers in general, I suggest you get a bootcamper from your company in on the hiring process. Lastly, you should actually go to the places where bootcampers are, and to places where underrepresented groups are. You have to show up and be actually interested. Even when we vet companies, sometimes we are duped. We’ll go on a company tour and we can see that students can actually feel that this was just charity. As an employer, you have to be authentic about wanting the talent; not tokenizing the talent. How can other bootcamps improve their diversity efforts? Secondly, it's all about engaging community partners. Coding bootcamps exist in the middle of two pipelines: between organizations and prospective engineers, and also in the education pipeline. You need some pre-knowledge to do any bootcamp. There are organizations that are already supporting and creating that pre-knowledge. Code Tenderloin is one example, which is an organization that we’re working with to build a bridge program to Hack Reactor. We need to invest our resources into those community partners, and tap into them to give our resources and share knowledge so that their students have a chance to go to Hack Reactor. Finally, always get feedback from every group at your school. If you keep asking the same type of person whether they're enjoying the course, then you’re only going to get one point of view. Read Hack Reactor reviews on Course Report, see the full Diversity and Inclusion report here, and check out the Hack Reactor website to learn more!